Dependents of an eligible veteran may be authorized for a waiver to cover 100% of tuition charges and tuition-related fees to the University of Nebraska campuses, Nebraska state colleges and Nebraska community colleges. 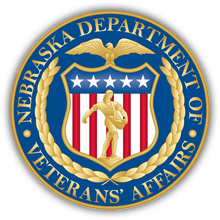 Applications are submitted to the Nebraska Department of Veterans' Affairs by contacting the County Veterans' Service Office nearest the applicant's place of residence. Because there are numerous grants and scholarships available from different sources, your best chance of finding one that's right for you will be to use your favorite search engine (examples of search phrases would be "Grants for Veteran Dependents", "Nebraska Scholarships for Veteran Spouses", etc. ).